Do you love the convenience of Google home but hate the compressed sound? If you've got a great pair of speakers in the house, you can have it all. Follow along as Andrew Welker explains how to hook up your Google Home To External Speakers. You received your new speakers and you want to get them playing, stat! But if you don't take time to make sure they're set up right you might end up underwhelmed. 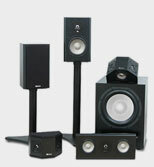 Read or watch our the top Home Theater Set Up Mistakes we see. Separate amplifier and processor? That's just for quirky audiophiles, right? Maybe not . . . Andrew Welker explains why movie lovers and classical music aficionados might want to go that route, too. 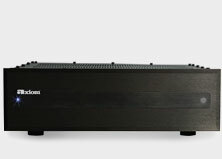 Because we offer both subwoofers and power amplifiers that have XLR or balanced cable connections, we often get the question from our customers, "Well, should I use that XLR, that balanced connection, or should I just use the RCA connection?" Speaker Impedance Explained: Do You Need to Match Your Amplifier? Today, we're going to talk about a topic that a lot of our customers ask us and unfortunately, it's one of those very confusing, frustrating and even scary topics for people when it comes to speaker systems and that is the speaker load or the speaker impedance as it's called. What Gauge Speaker Wire Should I Buy? 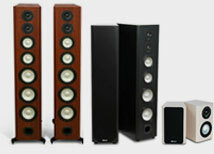 Here's a question we get all the time: what gauge speaker wire should I buy? Is 14 gauge better than 10 gauge? How much is enough? Wondering about getting into vinyl the right way? If you're a music lover, you want to know exactly what to need to make your music sound good. Subwoofer Controls: What Do All Those Knobs Do, Anyway? Today, we're going to talk a little bit about the controls and the functions that are available on the back of our subwoofers. These days, most of the actual setup and the adjustments that you're going to be doing can be done within the menus of your home theater receiver or processor. 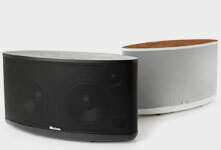 Where in your room should you place your subwoofer for the smoothest, most realistic bass? Andrew Welker tells us how to get it juuuuuust right.